✎ Laura Vanderkam’s Top 10 Rules for Success. She’s the author of several time management and productivity books. Her TED talk on how to gain control of your free time has more than 5 million views. She also wrote 2 novels and sang at Carnegie Hall. 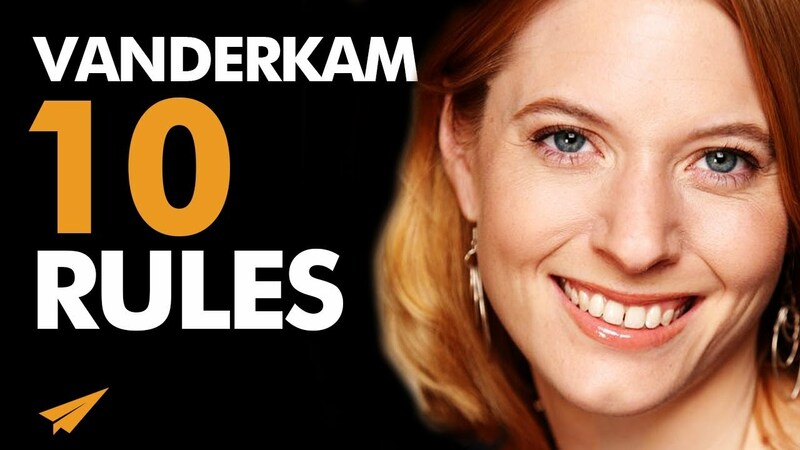 She’s Laura Vanderkam and here is my take on her Top 10 Rules for success! 1. where do you need to use your time more wisely? 2. what’s the routine that you need to get out of? 3. how will you use the concept of 100 dreams? ✎ More about Laura Vanderkam. Her book, Off the Clock, explores why some busy people feel relaxed about time, while others do not. Her book, I Know How She Does It, tackles the question of how women combine work and life. Her work has appeared in publications including The New York Times, The Wall Street Journal, and Fast Company. She has appeared on numerous television programs, including The Today Show and Fox & Friends. She is the co-host, with Sarah Hart-Unger, of the podcast Best of Both Worlds. What the Most Successful People Do Before Breakfast, profiles prominent people who use time creatively to achieve their goals.